We all raised our collective eyebrows the other day when Sony announced a release date for the second Amazing Spider-Man before the first one even hits theaters. The reasoning behind that decision is pretty obvious, of course: If Sony doesn’t make a Spider-Man film every couple of years they lose the rights back to Marvel. 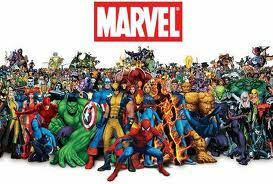 But now Marvel is turning heads by announcing that not one but two films will be released by their company in 2014, one on May 16th and the other on June 27th. It’s one thing to announce a release date for a probable sequel. Its another to announce release dates for unknown films. So let’s speculate, shall we? Iron Man 3 and Thor 2 are both scheduled for 2013, so they’re out. There will probably never be an Incredible Hulk 2 and it’s too soon to set up an Avengers 2. So that leaves a Captain America sequel, and that’d look real nice in that June 27th slot, just ahead of the 4th of July. So what about that May 16th slot? Will it be Dr Strange? Ant Man? Runaways? Black Panther? All four are in one form of development or another, and it’s only a matter of time before Marvel pulls the trigger on one of them. When they do, we’ll let you know. Comments for Marvel Has Two Mystery Movies Set For 2014 are now closed.